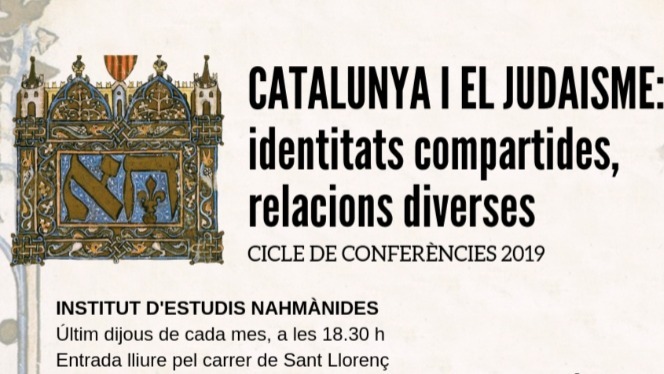 The Nahmanides Institute for Jewish Studies (Patronat Call de Girona) and Chair Ferrater Mora of Contemporary Thoughts from the University of Girona inaugurate this week the series of conferences "Catalonia and Judaism: shared identities, diverse relationships". The cultural initiative will begin this Thursday, January 31, with a conference by Marta Simó "La població catalana en el marc de l’Holocaust" that will take place at 6.30 pm in the Nahmanides Institute for Jewish Studies. The writer Vicenç Villatoro, the sociologist Marta Simó, the philosopher Xavier Antich, the philologist Moriah Ferrús and the professor Ferran Sáez Mateu will feature a total of five lectures on contemporary Catalan Judaism. The conferences will be until May and will take place on the last Thursday of each month, at 6:30 p.m., in the Nahmanides Institute for Jewish Studies. The assistance is free, although it is recommended a prior registration.